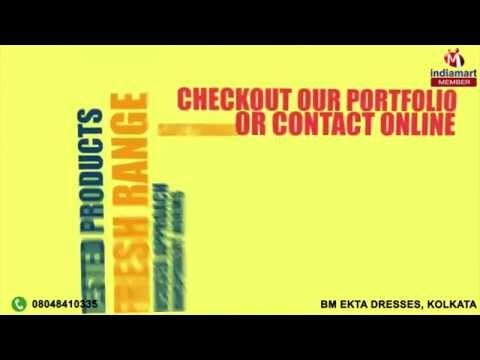 Welcome to BM Ekta Dresses, established in the year 2011, we are one of the prominent and leading manufacturers, suppliers, traders and wholesalers of the finest quality Fancy Dresses. Inclusive of Baba Suits, Shirts and Blazar Suits, we offer a wide range of fancy dresses. Their eye-catching appearance, perfect stitching, smooth finish, vivid color combination, lightweight and resistance against fading & shrinkage, make these fancy dresses highly appreciated among our customers. The offered dresses are available with us in different sizes, designs and colors, which best suits the requirements of the offered fancy dresses in the most efficient manner. For stitching and designing the offered range of fancy dresses in compliance with the prevailing market trends, our professionals make use of skin friendly fabric yarns. We export in Gulf & Middle East countries.